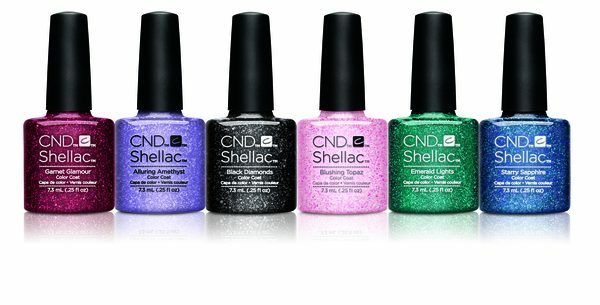 CND SHELLAC 2016 STARSTRUCK collection soak-off gel has arrived in a stunning lineup. Six glittery shades in Starry Sapphire, Blushing Topaz, Dark Diamonds, Garnet Glamour, Alluring Amethyst and Emerald Lights. Different styles of twinkling particles bottled in glossy SHELLAC colors to create gorgeous radiance on the nails.